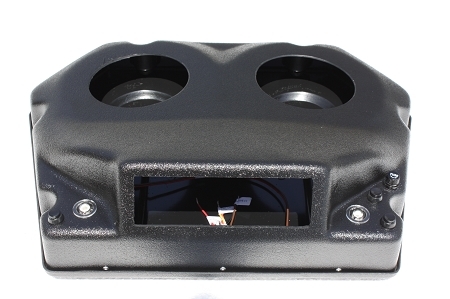 This is our popular RZR 570 and 800 2-seater overhead console, and is available factory wired ready for you to install your own radio and speakers. This unit also includes the (6) strap mounting hardware kit. It can be installed with or without a factory roof in place. The design permits it to install up and into the factory Polaris roll cage on all 570 and 800 model years, Looks Great! Mounts to factory roll bars, mounting kit incl.